Looking to access our guide through Chromecast? 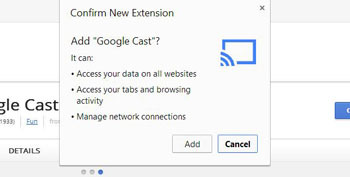 Follow the link below to download the Google Cast extension on your Chrome browser. 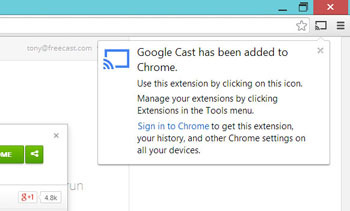 You should receive a confirmation that the Google Cast extension has been added to Chrome. 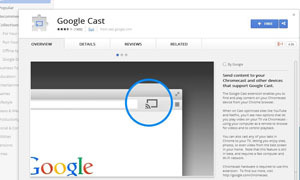 Look for the Google Cast icon in the top right corner of your Chrome browser. Open up the members site and login to your account, in the Chrome browser. 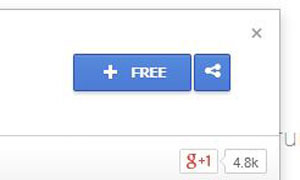 While on the main homepage, click on the Google Cast icon in the top right corner (should look like the image below). > The site should then appear on your TV screen.